Austin: State Highway Building, 1933. Facade detail. Progress in Transportation--bas relief. 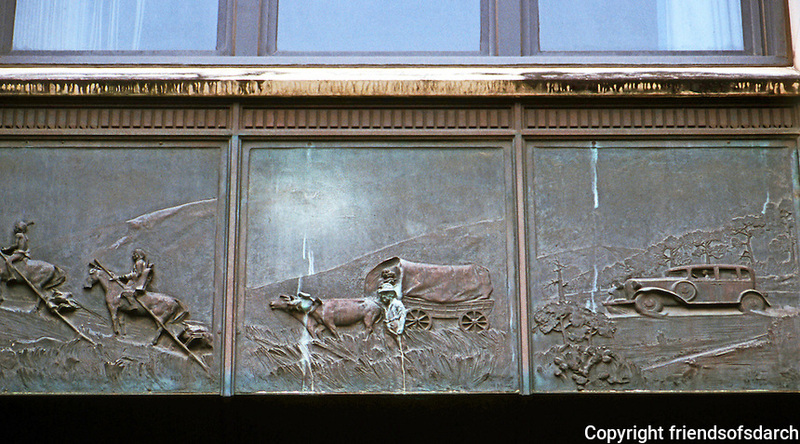 Austin, facade, State Highway Building, bas relief "Progress in Transportation"